The Walking Dead tells the story of a small group of survivors living in the aftermath of a zombie apocalypse. Most of the story takes place in the Atlanta metropolitan area, as the survivors search for a new home away from the shuffling hordes of the undead (or "walkers" as they are called by the survivors). The plot is focused primarily on the human element of a post-apocalyptic world and the way the struggling humans survive. The group is led by Rick Grimes, who was a sheriff's deputy in a small Georgia town before the zombie outbreak. As their situation grows more hazardous, the group's desperation to survive pushes them to the brink of insanity. The Walking Dead tells the story of a small group of survivors living in the aftermath of a zombie apocalypse. Most of the story takes place in the Atlanta metropolitan area, as the survivors search for a new home away from the shuffling hordes of the undead (or "walkers" as they are called by the survivors). The plot is focused primarily on the human element of a post-apocalyptic world and the way the struggling humans survive. The group is led by Rick Grimes, who was a sheriff's deputy in a small Georgia town before the zombie outbreak. As their situation grows more hazardous, the group's desperation to survive pushes them to the brink of insanity. At every turn they are faced with the unbearable horrors that come from having the dead walk again, the changing dynamic of their group, as well as facing hostility from the scattered remains of a struggling human populace who are focused on their own survival, now that the structures of global society have collapsed. The first season centers on Deputy Rick Grimes, who was shot and ended up in a coma for an indeterminate time. When he awakens, he finds a post-apocalyptic world overrun with the walking dead. He leaves the hospital and discovers his wife and son are missing. Rick arms himself and, after hearing a rumor from a survivor, begins a perilous journey to Atlanta, where the Centers for Disease Control and Prevention is said to have set up a quarantined safe-zone in the city and where his family may be hiding. During his journey, Rick sees the devastation left by the "walkers" . 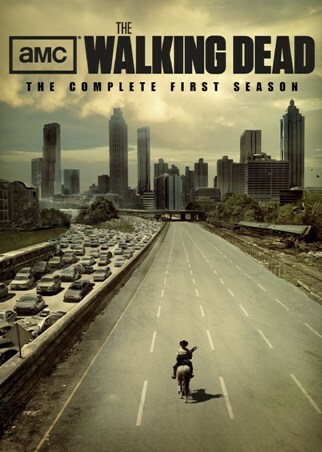 Upon reaching Atlanta, he soon discovers that the city is overrun by the undead and is no longer safe. A few miles outside the city, Rick's wife Lori and his son Carl have been hiding from the walkers with Shane Walsh, Rick's former colleague and best friend. They have established a camp with a small group of survivors from around the country. After being rescued from Atlanta by the group and reunited with Lori and Carl, Rick assumes a command position with Shane and must take responsibility not only for his family but also for the survival of the group. Part of the group goes back into Atlanta to recover weapons, where they come into conflict with other survivors, but Rick soon eases the tensions. However, on their return to their camp, they find it has been nearly overrun by walkers. Hoping to find medical treatment for an injured member, the remainder decide to return to Atlanta and seek aid from the CDC. In the CDC "safezone", all but one staff member, Dr. Edwin Jenner, have either fled or killed themselves. Dr. Jenner explains his research into the cause of the "zombie apocalypse". But the CDC building is not the safe haven the group believed. The following day, lack of fuel for the generators causes certain safety protocols to be initiated, which will result in the destruction of the CDC. Dr. Jenner explains that the French may have found a cure, as they survived the longest in their labs. Dr. Jenner and Jacqui, a member of Rick's group, elect to stay in the CDC despite the impending explosion. Before the group flees, Dr. Jenner whispers something unknown into Rick's ear. The group escapes just as Jenner and Jacqui are killed by the building's self-destruct sequence. The second season premiered on October 16, 2011 and featured 13 episodes. At a 2011 Paley Center for Media panel, it was announced that the second season will feature Grimes' group of survivors leaving Atlanta for the countryside, including the Greene family farm, a setting in the comic book series. Filming of season 2 began in June 2011 in the greater Atlanta area. Prior to the start of season 2, a 6-part webisode series, Torn Apart, premiered on October 3, 2011 on AMC's website. The webisodes detail the events just when the outbreak began, specifically the life of Hannah, also known as "bicycle girl", who appeared in the first episode of the series. AMC renewed The Walking Dead for a third season on October 25, 2011, after the season two premiere broke cable ratings records in the 18–49 demographic, as announced by AMC president, Charlie Collier, "We are thankful for everyone’s contribution in front of and behind the camera as we continue to make The Walking Dead a unique television experience. And, we are so proud as it continues to set viewership records around the world." Whole or part of the information contained in this card come from the Wikipedia article "The Walking Dead (série télévisée)", licensed under CC-BY-SA full list of contributors here.